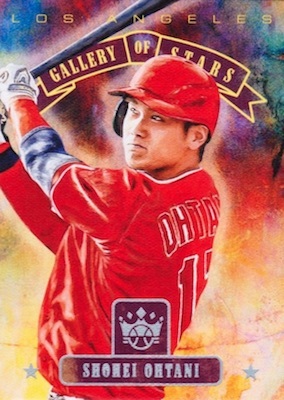 One of the more unique hobby options at a lower price point, 2018 Panini Diamond Kings Baseball highlights stars across the diamond with a colorful, creative take. Each hobby box should yield two total autographs or relics. 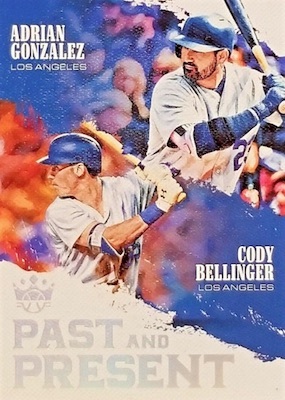 Although the exact box contents are tweaked slightly from 2017, hobby boxes also average two short prints, two variations, three parallels and 11 total inserts. 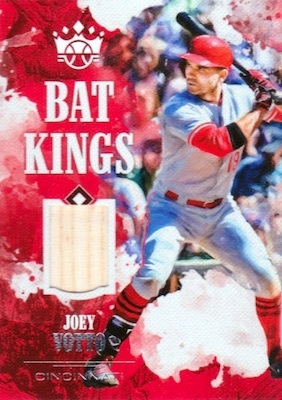 Drawing immediate attention to the player, the 2018 Panini Diamond Kings Baseball base background design makes the subject the center focus, adding a simple banner at the bottom. Framed parallels come 1:4 packs, on average. There are also blaster-only Artist Proof Red and Blue frames. Increasing from the 2017 selection, Variation choices include Sepia and Black and White, along with popular options such as Photo and Name. 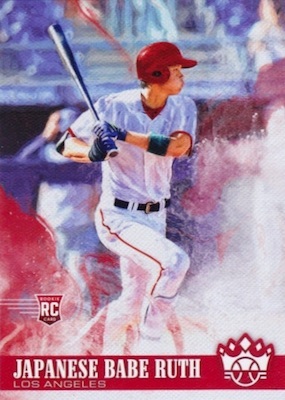 Combining to fall in nearly every pack, the 2018 Panini Diamond Kings Baseball checklist features multiple inserts. 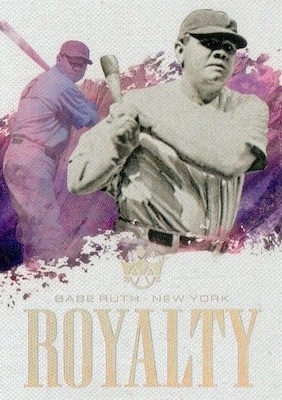 Royalty is a one-card tribute set dedicated to Babe Ruth. There is also Portraits, which displays close-ups of legends with an ornate frame design. 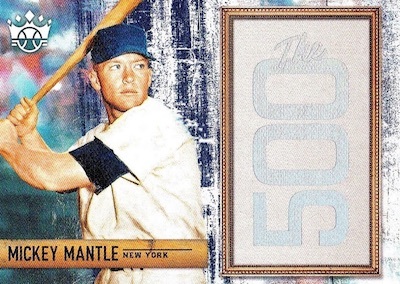 The Mickey Mantle Collection inserts are specific to the retail blaster format. With two per hobby box, 2018 Diamond Kings hits include autographs and memorabilia inserts. The DK Rookie Materials Signatures set is only for the 2018 rookies, matching dual relics with an autograph. 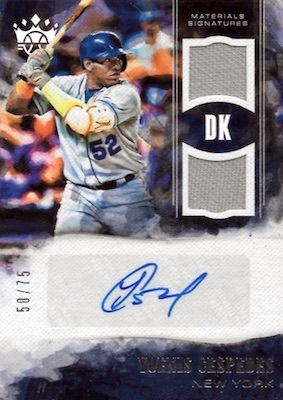 The main DK Signatures insert is more wide-reaching, covering past, present and future stars. Both sets also have four parallels limited to 99 copies or less. In addition, the Retro 1982 Diamond Kings Material Signatures set honors the '82 design with an auto relic for fan favorites, while Diamond Cuts Material Masterpiece incorporates cut signatures and a memorabilia piece for legends of the game. 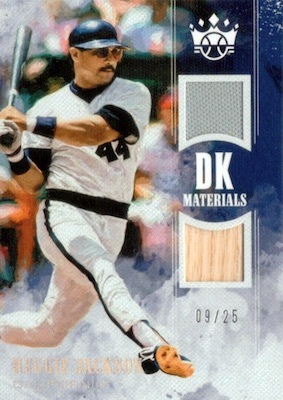 Other relic options include Bat Kings, Diamond Deco, DK Materials, Jersey Kings and Studio Portraits Materials. 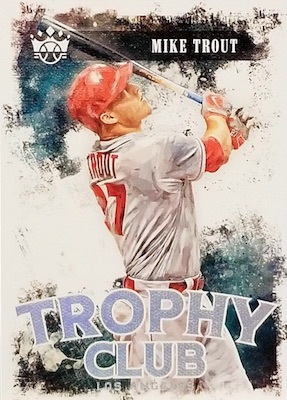 ARTIST PROOF PARALLELS: Red, Gold #/99, Blue #/25, Masterpiece 1/1. FRAMED PARALLELS: Blue, Red, Gray #/99, Brown #/49, Green #/5, Black 1/1. 53 cards. Shop on eBay. PARALLEL CARDS: Holo Silver #/99 or less, Holo Gold #/49 or less, Holo Blue #/25 or less, Purple #/20 or less (FOTL), Masterpiece 1/1. All subjects not in parallels. View specific details with the spreadsheet. PARALLEL CARDS: Holo Silver #/49, Holo Gold #/25, Purple #/20 or #/10 (FOTL), Holo Blue #/15, Masterpiece 1/1. 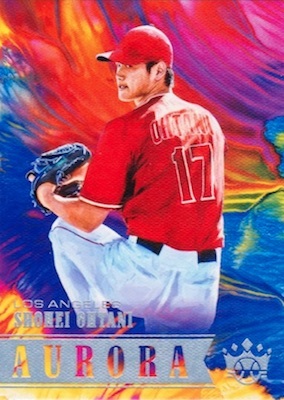 OHTANI PARALLELS: Holo Silver #/49, Purple #/20 (FOTL), Holo Gold #/10, Holo Blue #/5, Masterpiece 1/1. 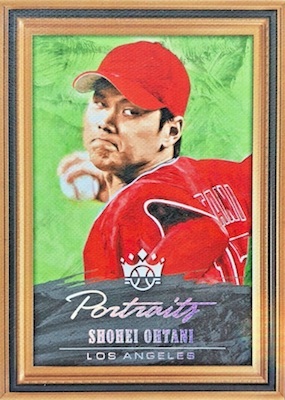 PARALLEL CARDS: Holo Silver #/49 (No Verdugo*), Holo Gold #/25, Holo Blue #/15 (Ohtani #/10), Masterpiece 1/1. PARALLEL CARDS: Holo Gold #/49 or less, Holo Blue #/25 or less, Masterpiece 1/1. PARALLEL CARDS: Holo Gold #/49 or less, Holo Blue #/10 or less, Masterpiece 1/1. All subjects not found in Gold/Blue parallels. View specific details with the spreadsheet. 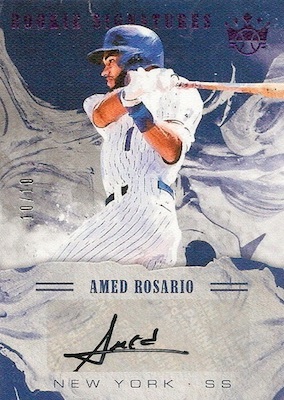 PARALLEL CARDS: Holo Gold #/25 or less (No Banda,Andujar*), Holo Blue #/15 or less, Masterpiece 1/1. PARALLEL CARDS: Holo Silver #/99 or less, Holo Gold #/25 or less, Holo Blue #/10 or less, Masterpiece 1/1. PARALLEL CARDS: Holo Silver #/99 or less (No Kluber,DiMaggio), Holo Gold #/49 or less, Holo Blue #/25 or less, Masterpiece 1/1 (No Zimmerman). All subjects not in Holo Blue parallel. View specific details with the spreadsheet. PARALLEL CARDS: Holo Silver #/99 or less**, Holo Gold #/49 or less, Holo Blue #/25 or less, Masterpiece 1/1. PARALLEL CARDS: Holo Silver #/99 or less (No Killebrew,Robinson,Hartnett*), Holo Gold #/49 or less (No Bench,Maddux*), Holo Blue #/25 or less (No Bellinger*), Masterpiece 1/1. PARALLEL CARDS: Holo Silver #/99 or less (No Gehrig), Holo Gold #/49 or less, Holo Blue #/25 or less, Masterpiece 1/1 (No Mattingly). No Mattingly, Judge, Bellinger, Rodriguez in Holo Blue parallel. 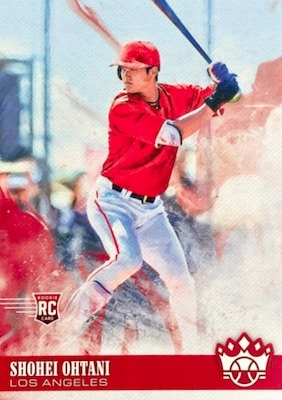 See the 2018 Panini Diamond Kings Baseball checklist spreadsheet. Another big zero from the worst card designers on the planet. Simplstic and ugly, ugly, ugly. A second grader could have done better. More Panini garbage, and sticker autographs galore! Whee! Not worth the paper it’s printed on. But then again, if you love wasting money on inferior cards, this is definitely your line. Looking forward to seeing this creative product. This is a great product every year. I love the look of the cards and the hit checklist is always incredible. From top prospects to legends you can get everything in Diamond Kings. 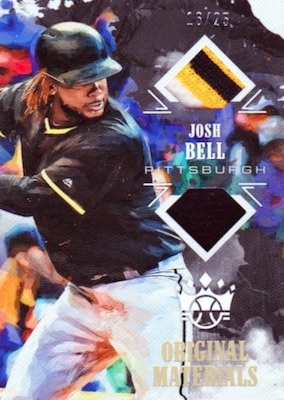 If the card features a player I collect I could care less about the logos. At $75 a box you get a lot more value here than you do with some other products. Looks pretty stacked but no Eric Davis !!! I know people don’t like Panini and that’s fine. 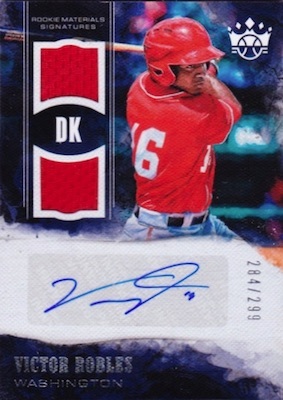 However, Diamond Kings has consistently been a great, good-looking set to collect. Given the state of the hobby where even the products that used to be for set collectors have hobby boxes selling for more than $100, this is a very nice set to collect at a good price. Not having a MLB license hurts Panini products. The design is fine but not having team logos on the uniforms just sticks out like a sore thumb. The official Hobby release day is today, April 11, but Panini also sells most of their products as First Off the Line (FOTL) editions, which are released around 48 hours early. Until Panini gets a baseball license…. Awesome product for the price!! Any info on the private signings cards??? 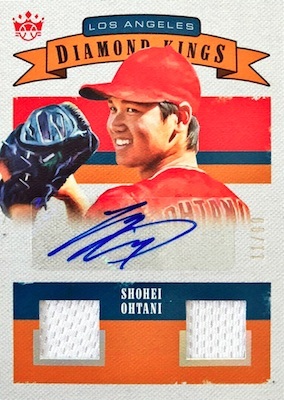 I know there are at least 4 variations of Shohei Ohtani autos!?!? But nothing is listed in this checklist…. Nice design on some of these cards; plus there are a few old-time players that Topps won’t recognize. 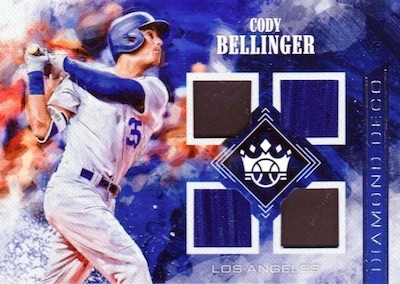 Agree, though, the lack of MLB logos makes these cards kinda hit and miss. Doesn’t Topps’ exclusive deal w/ MLB run out in a year or two? 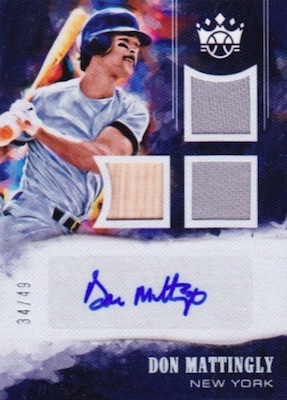 It’d be nice if Panini/Donruss could compete openly and give Topps a run for the money. The same goes for football where Panini’s NFL deal is blocking Topps. No more exclusives! There’s room for Topps and Panini/Score/Dunruss (even Upper Deck). Detroit fans get overlooked again. I wanted cards of the new players. They still have a JD Maritinez Tiger card. He was traded last year. 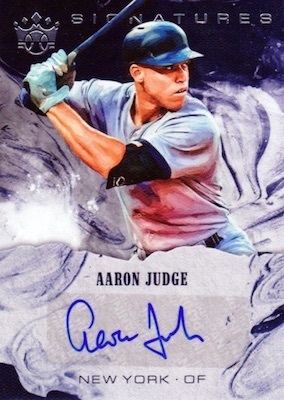 Add to it the absence of autos/jersey for Tigers, I have no interest in this set. I can’t even buy I break. Nothing I want. New players like Martin, Cadelario, Hicks,Reyes, Goodrum, Boyd, Jones all missing I am sure some people like the annual ty cobb reprint (no thank you). Too many variations. More specifically, too many tiers of variations. They were doing so good keeping it somewhat consistent, and modestly attainable for set builders. We don’t need all the convoluted tiers of variations at this price point. 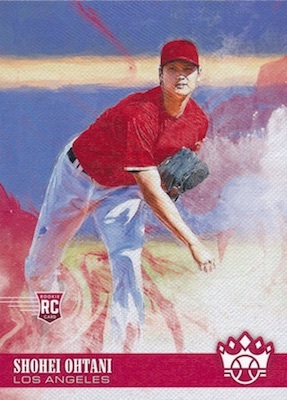 I for one am going to be buying less of this product this year only because I’m staying away from variation parallels altogether, whereas in years past the variations completed my set build. More isn’t always better than less. Much can be said for continuity and tradition. You will fair just as well buying a $20 retail box instead of the hobby box, they are virtually the same with the only separation being the 2 auto/patch “on average”. I’ve opened a number of these and will say that more times then not, you will only get 1 patch card (not numbered). Only about 1 in 5 boxes will you ever get a numbered card and the odds of getting an auto are probably worse. If you just enjoy the artwork of these cards and don’t care about numbered or autos, do yourself a favor and go retail. The artistry and quality of cardboard are excellent. I put the artistry up there with Topps’ Living Set. I appreciate seeing former stars in the set.